– All quotations unless otherwise indicated are valid for 30 days. – Pricing is based on total purchase of all items indicated on the quotation. – Pricing is subject to revision based on client’s changes to original quotation. – All quotations unless otherwise indicated are subject to all applicable taxes and levies. 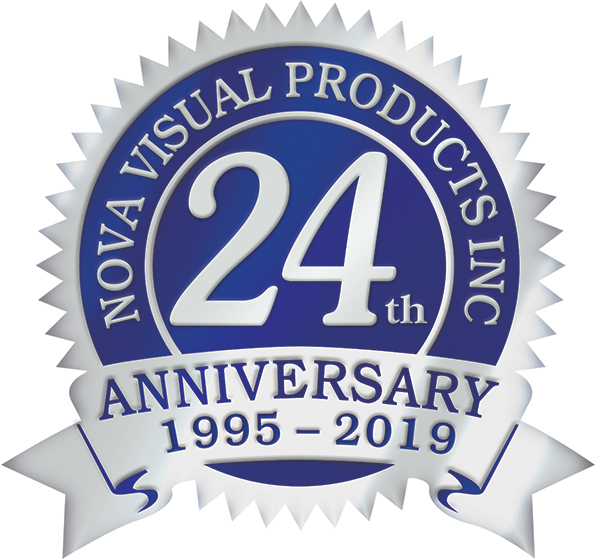 All products sold are subject to the Manufacturer’s warranty, which Nova Visual Products, (NVP) has no control or responsibility over. Clients are encouraged to familiarize themselves with specific details, contained in the owner’s manual regarding Manufacturer’s warranties. At its’ discretion NVP can be made available to assist clients with Manufacturer’s warranty claims. Applicable shipping, taxes, levies, and handling fees are the responsibility of the client as laid out in the Manufacturer’s warranties. Additional fees will be discussed with the client, and payment secured prior to Nova Visual Products, commencing any action to resolving Manufacturer’s warranty claims. NVP warranty’s their installations of all audio visual, presentation, audio-video conferencing systems and integrated projects for one year, (parts and labour). Technical Terms and Conditions:- what we don’t cover. – NVP is not responsible for image burn-retention or related image defects resulting from prolonged image capture or the display of static images. – NVP is not responsible for display defects due to vibrations transmitted through the building structure. – NVP is not responsible for 120VAC, LAN/phone lines, CATV, and conduit unless otherwise specified. – NVP is not responsible for general construction trades, (ie: plastering, painting, electrical) unless otherwise specified. – NVP is not responsible for applicable permits unless otherwise specified. – NVP is not responsible for any seismic testing unless otherwise specified. NVP will accept product for exchange, credit, or refund, under the following conditions. – Client must contact NVP within ten business days of original purchase. – Box product was shipped in, has not been opened. – A 25% restocking charge may apply. – We are contacted within thirty days of the original purchase. – All original packaging and documentation is intact. – Product is undamaged and in good working condition. – That our supplier of the product will allow us to return the product to them. – Products that are specified by the client, (aka special order items). 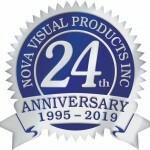 – Products that are not commonly used or sold on a regular basis at NVP. – Products that we normally do not promote or support. NVP will invoice all equipment upon delivery. NVP will invoice all installation/labour services upon completion of installation. Delays caused by others, affecting NVPs ability to carry out installation services the day they are scheduled, (ie: unfinished trades, room occupied, alarm-bell testing, on-site contacts not showing up, etc….) are subject to a discretionary $500.00 re-scheduling fee. Scheduled installation services cancelled without 48 hours notice are subject to a mandatory $800.00 re-scheduling fee. All invoices, based on approved credit, will be Net 30 days payable. All invoices for special orders, first time orders, new clients, may require at our discretion a 50% down payment. Balance owing on these orders is due at time client receives the equipment.